Located at the heart of Thamel, Hotel Yala Peak is a great base from which one can access to all that the lively city of Kathmandu has to offer. 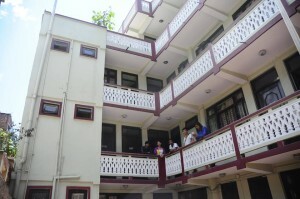 Hotel Yala Peak is conveniently located in the popular Thamel area of Kathmandu. Our hotel offers various recreational opportunities. 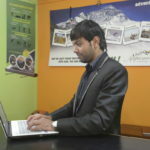 Convenience and comfort makes Hotel Yala Peak the perfect choice for your stay in Kathmandu. We’ve been open for 5 years but have over a decade of experience in running hotels. In 2018 we also opened the nearby restaurant Yala Cafe – serving the best breakfasts in Kathmandu. It’s always good to know who you will meet when you come to a hotel. 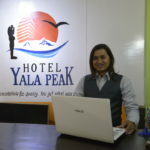 We want you to feel at home at Hotel Yala Peak so you will likely meet either Kumar or Durga when you arrive. Our General Manager, Kumar, works on site and always ensures guests are 100% satisfied with our service and rooms. Our Operations Manager, Durga, looks after staff management, services, travel & tours along with guest satisfaction.